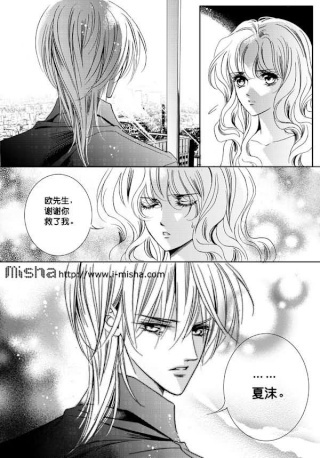 I'd like to share more manga piccies of Pao Mo Zhi Xia here Hope u like them. Ouchen's jealous to watch Xiamo & Luoxi having a singing performance together. He saw their hands. Ouchen (Peter Ho) lost his memory. Yet, when meeting Xiaomo, he felt something special about her. [i]The scene: Xiamo came to Ouchen's house... asking him to help Luoxi and explaining that Luoxi was just her father's favourite child. 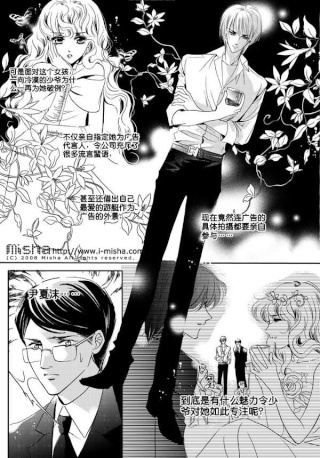 In the manga, Ouchen was swimming in his private pool when Xiamo came.